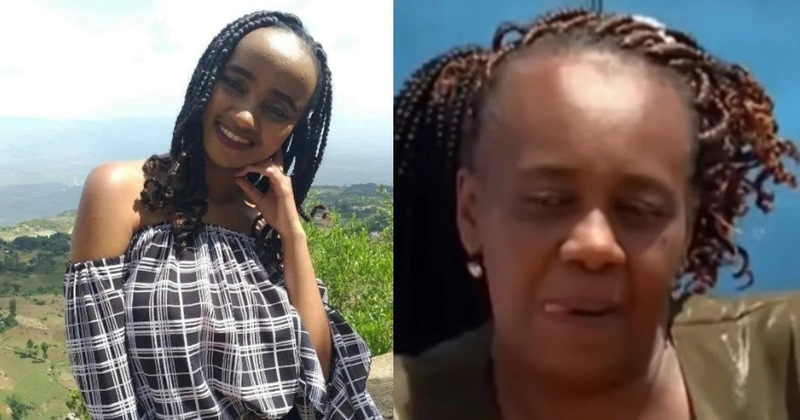 Tuesday April 16, 2019-The slain Moi University student Ivy Wangechi's mother, Winfred Waithera, on Tuesday, brushed off an apology offered by her daughter's killer's father George Kinuthia. Kinuthia, a businessman based in Thika town and the father to Naftali Kinuthia who hacked Ivy to death is broad daylight, apologized on Monday revealing that he was sorry and that he knew his son as a reserved man, who did not have a criminal record. However, Ivy’s mother dismissed the apology minutes after Kinuthia offered it explaining that she needed time to mourn her daughter and bury her. "It's not easy for me and my family. All I want now is my peace to mourn and bury my daughter," she revealed. Waithera had earlier disclosed that her life and that of her family would never be the same again since Wangechi used to surprise them with gifts and that she was simply sweet. I understand what Ivy's mother is feeling right now coz NOTHING can ever erase the pain of losing a loved one through murder.Kinuthia should face the full force of the law and I pray to God that he pays dearly for this.